The Minister of Foreign Affairs, Nikos Christodoulides, and the Secretary of State for Energy, Trade and Industry of the Republic of Cyprus, Giorgos Lakkotrypis, have met in Beirut with the minsters of Foreign Affairs and Energy of Lebanon, Gebran Bassil and Nada Boustani, where they sought ways of further expanding and deepening their bilateral relations for the benefit of both countries and their peoples. 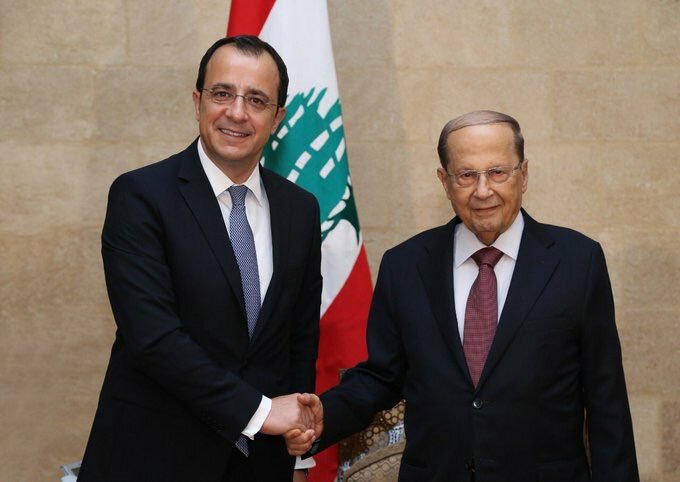 “The results of oil and gas exploration in Cyprus and Lebanon leave us particularly pleased”, said Nikos Christodoulides, as well as the interest shown by large international companies to invest in the respective Exclusive Economic Zones of the two countries. The objective is to ensure energy security in the wider region of the Eastern Mediterranean and to exploit the dynamics of energy developments for the region, using it as a catalyst to further enhance bilateral cooperation. In this context, both sides agreed to immediately launch discussions on the conclusion of a bilateral Framework Agreement on the development of hydrocarbon reserves, extending on both sides of the middle line between the Exclusive Economic Zones of the two countries. Such an agreement will send a strong message of co-operation between the two countries, providing the necessary legal safety to international companies wishing to invest in hydrocarbon exploration in the region. The Cypriot Foreign Minister reaffirmed the mutual support of Nicosia and Beirut for the exercise by both countries of their sovereign rights to explore and exploit the natural resources within their respective marine areas, in accordance with International Law and in particular in accordance with the United Nations Convention on the Law of the Sea, to which both countries are contracting parties.